Rezwan Ferdaus remote-controlled planes plot: How can we stop the technology of terrorism? So much for airport security. The new terror threat is remote-controlled planes. 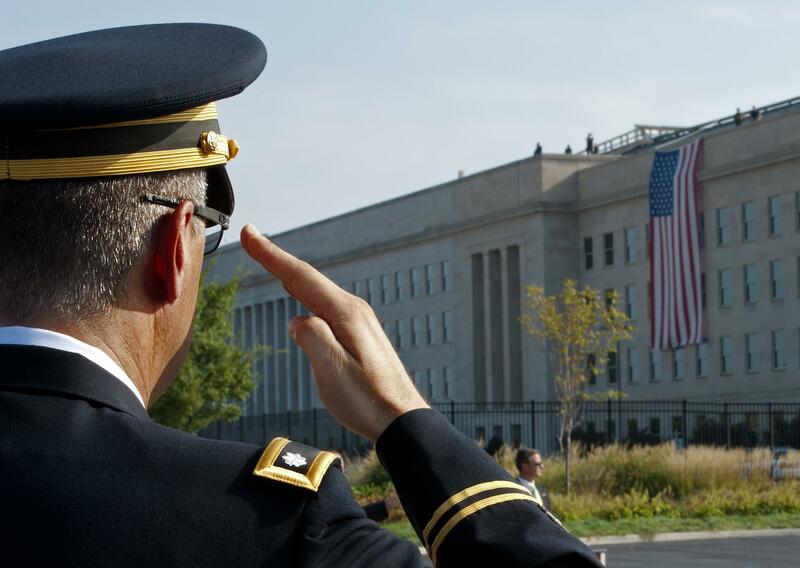 A US military officer on the 10th anniversary of Sept. 11. Could the Pentagon be attacked again? On Sept. 11, 2001, terrorists hijacked four planes, flew two of them into the World Trade Centers, used a third to hit the Pentagon, and probably sent the fourth to hit the U.S. Capitol. But that can’t happen again. We have TSA screeners, scanning machines, and on-board marshals to prevent anyone from hijacking a passenger plane. If you want to hit the Pentagon and the Capitol, you’ll have to bypass all this security. And you can. Instead of boarding a passenger plane, you can use an unmanned, remote-controlled aerial vehicle. That’s what Rezwan Ferdaus, a U.S. citizen, has been charged with plotting. The evidence against Ferdaus, spelled out in an FBI affidavit, shows how easy it is to acquire the ingredients for an aerial strike, and how vital it is to locate the plotters through social networks. We can’t control the technology. We will have to find the people. Everything I’m going to tell you about Ferdaus comes from the affidavit, which cites his own recorded words. He majored in physics at Northeastern University. He hated the United States. He loved electronics. He learned robotics. He took apart cell phones and turned them into bomb detonators. One day he got a bigger idea: He would hit high-value U.S. targets from the air. He would use remote-controlled aircraft. The planes would carry explosives. Ferdaus chose the Pentagon as his first target and the Capitol as his second. Using library and café computers to avoid being identified, he looked up Web sites that sold large remote-controlled model planes. He learned that they could carry 40 to 50 pounds of payload. These weren’t drones, but they were affordable—less than $3,000 per plane—and Ferdaus figured out how he could use them. He found a model that was nearly six feet long and four feet wide. It could be programmed to fly on autopilot, at a speed of up to 160 miles per hour, to a target defined by GPS coordinates. The logistics were easy. Ferdaus used a fake name to get price quotes. He arranged the transactions through an alias PayPal account. He scouted a location—East Potomac Park—from which to launch the planes. He determined that he could get the coordinates from Google Earth. He bought spark plugs, batteries, and ammonia from various stores. He bought rocket motors from Toy ‘R’ Us. Ferdaus was arrested yesterday after he accepted delivery of the planes’ intended payload: 25 pounds of C-4 plastic explosives. “Public Was Not in Danger from Explosive Devices, Which Were Controlled by Undercover FBI Employees,” says the FBI press release. But that’s misleading. In several meetings with FBI agents posing as al-Qaida operatives, Ferdaus advocated and requested plastic explosives. The only reason he didn’t try to obtain such explosives from an actual supplier is that the agents said they would get the goods for him. In the meantime, they told him not to try to make his own explosives. That’s the real story of the Ferdaus bust: We know how easy it was for him to study and assemble the technology, because our agents were with him the whole time. The affidavit doesn’t specify how we found him. But it says he visited “jihadi websites,” met an ex-con “cooperating witness” in December 2010, and then met two undercover FBI employees in March 2011. Maybe our agents noticed him on a Web site. Maybe the ex-con smelled an opportunity. Either way, we didn’t find the plotter through his research and acquisitions. We tracked the research and acquisitions through the plotter. And that’s the moral of the story: In a world where you can bypass TSA and launch a plane attack with ingredients from the Internet and Toys ‘R’ Us, the weak point in any terrorist plot is its social network. We can’t cut off access to every supplier. But by infiltrating jihadi Web sites and developing well-placed informants, we can find the next aspiring terrorist and become his supplier. In its press release on Ferdaus, the FBI warns, “A committed individual, even one with no direct connections to, or formal training from, an international terrorist organization, can pose a serious danger to the community.” But isolated, home-grown miscreants like Ferdaus are often easy to catch precisely because they have no links to terrorist organizations. In their quest to connect with a network, they risk being discovered and deceived. The network they find is a fake network: ours. By al-Qaida standards, Ferdaus was a doofus. He lived with his parents and needed help to buy equipment. His original plan was to load the planes with grenades. He wanted to mow down Pentagon evacuees with AK-47s. He thought his hits on the two buildings would decapitate our military and political systems. But the next rogue plotter won’t be such a fool. And he’ll have access to the same technology or better. As the affidavit notes, “Remote controlled aircraft are capable of carrying a variety of payloads (including a lethal payload of explosives), can use a wide range of take-off and landing environments, and fly different flight patterns than commercial airlines, thus reducing detection.” Fifteen pounds of C4 can do this. Twenty pounds can do this. Forty pounds can do this. We’d better find the next guy before he finds his planes.